As of January 1st, 2017 I became self-employed full-time. While I had been working to make the leap for a while, ultimately the start date of my self-employment was decided by my former employer. When I got laid off. Fortunately for me, I already had taken steps to make that leap possible. The first real step towards self-employment I took was signing up for 30 Days or Less to Freelance Writing Success. Less than a year later, I do freelance writing full-time. Here is my 30 Days or Less to Freelance Writing Success review. If you've ever been curious about freelance writing as a side hustle, then this course is a great way to get started. How Did I Hear About 30 Days or Less to Freelance Writing Success? I first heard about Gina Horkey from Carrie at Careful Cents. I headed over to Gina's site, Horkey Handbook. One of the first things I looked at was her income reports. Gina keeps it real and shares her income going back to when she started freelance writing in 2014. From April 2014 when she started looking into freelancing to the end of that year she made a profit of over $12,000 while still working her full-time job. I had heard from Carrie she also had a course, after checking out those income reports I went to check out her course. I spent a lot of time looking at the course, comparing other courses out there and the testimonials of those that had taken the course. It helped that I had heard about Gina and her course from Carrie at Careful Cents. For those that don't know Carrie, she is a badass freelancing #girlboss just like Gina. Having been a fan of Careful Cents and trusting Carrie's judgment I took the leap and bought the course. As someone with a lot of debt, I don't purchase courses like this one without doing my homework and evaluating the costs and benefits. Ultimately I decided to take the course because every time I looked at applying to a freelancing job, it felt like I was pushing a huge boulder uphill. I never had what the ad was asking for, and it just seemed like so much work to do every time, when I may not even get the gig. Not to mention I felt like a fraud. I was a math major in college, what the hell was I doing considering freelance writing as a side hustle?! Sure, I had been blogging for a while and had managed to get my writing out to a few other places via guest posts, but I always felt clueless and a bit like a fraud. I didn't know the lingo, how to approach potential clients, or what to charge. What exactly did it mean to write copy and what are white papers? 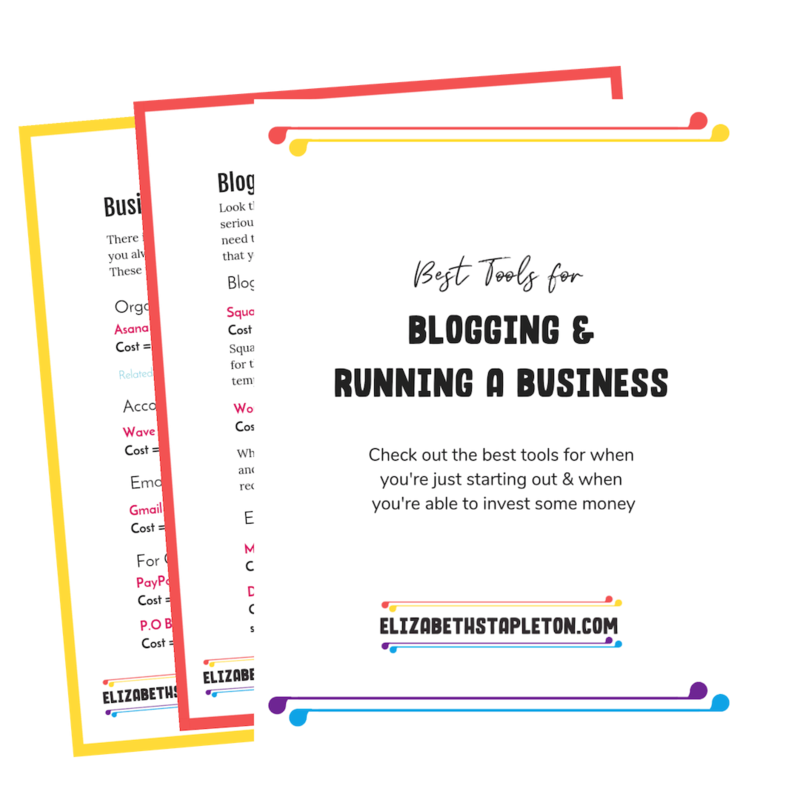 I knew what a blog post was and how to write them, but that was it, and I knew there was a lot more work out there that I was capable of doing, I just needed to understand how to phrase it all. I ultimately chose to buy 30 Days or Less to Freelance Writing Success because, from all my research on the course, I knew it would give me the foundation I needed to pursue freelance writing. Step by step it walked me through building a freelance writing business and gave me the know-how and confidence to pitch freelance writing jobs. As with anything, there are pros and cons, and I want to make sure I give you a complete picture of what it's like to take the course. The course is designed so that you can complete it in 30 days by doing one lesson a day. However, some of the lessons are quick, easy to read, and take action. So if you want to do more than one lesson in a day, you can. You could if you really worked at it, take the entire course in a week. Or you could stretch it out to a couple of months; it's up to you. Personally, I spent about two weeks taking the course. This is not a course on the theory of freelance writing or waxing poetic on the lifestyle of a freelancer. 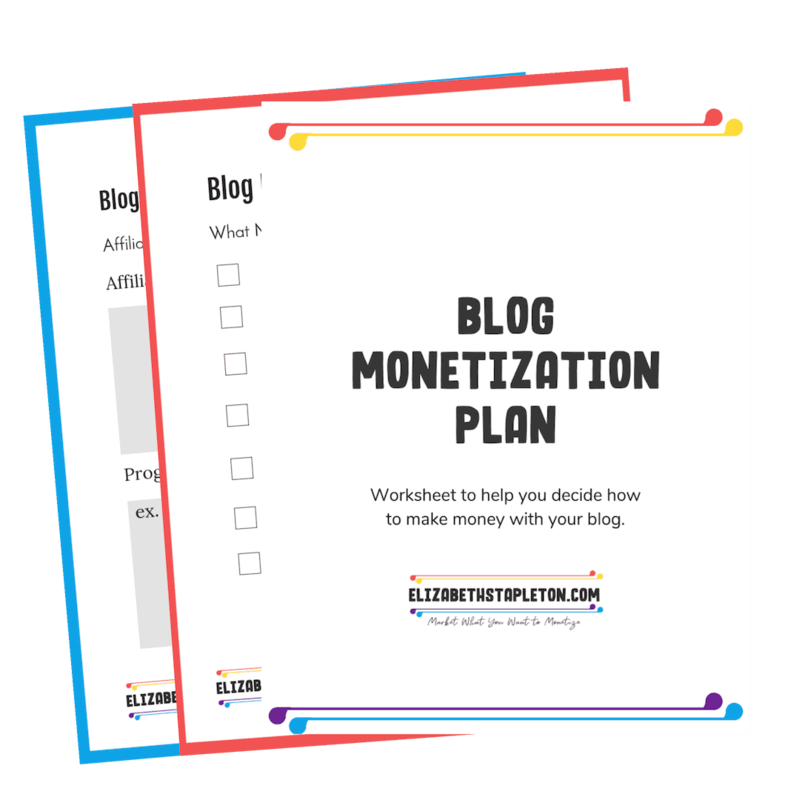 It is packed with action steps so that by the end of the course you will have a foundation for your freelance writing and very likely your first few clients. If you put in the time and actually do the work, you will get freelance clients. I earned enough money from my first freelance client to cover the amount I spent on the course and then some. The course comes with access to a Facebook group of others who have taken the course. Any time I've had a question pop up regarding my freelance business, I've asked there and have always gotten a helpful answer quickly. As I said before, one of my biggest struggles before taking the course was feeling like I never had everything together to be able to pitch jobs. So anytime I found a job to pitch, it felt like it took forever. I just was never able to find the time since I was working full-time and constantly traveling for work. This course simplified it and walked me through step by step. Forcing me to build everything (think resume, website, and pitch templates) I would need to quickly and efficiently pitch jobs. When I signed up for the course, the lessons were delivered via email. You couldn't get the next lesson until you completed the previous lessons. The course is laid out in a very specific way and is designed for you to go through the lessons in order. This is great when you are first taking the course. Since I got the lessons via email, I could easily go back and reference the lessons, and I still do. Since then the course has been improved and moved to another platform. When I was given access to the course in the new platform, I couldn't jump around; it required me to move through it as if I was taking it for the first time. However, once you go through the course, you can then jump around to whatever section you want. The course is not free. It's an investment. If you aren't willing to do the work the course requires, then you would be wasting your money. When I bought the course, I got the growth package for $99. More material has been added to the course, and the cost has since gone up. I think last I checked it was $147. That being said the first writing job I got still would have paid for the raised cost of the course. Some of the Additional Tools Recommended Are an Additional Cost. The course does teach you everything you need to know and walk you through everything you need to do to start freelance writing. However, understandably it's not going to provide you with all the tools. For example, it does recommend having your own website, but if you want something self-hosted you'll have to pay for it. It also recommends a few paid job boards, which can be overwhelming. The suggestion to shell out more money when you're just getting started is tough when you feel like you've already invested a good chunk of money. Fortunately, there are frugal workarounds for nearly everything, and Gina provides several cheaper or free alternatives. Originally, the course previously had three different packages you can choose from, the Starter Package, Growth Package, and Rockstar Package. The course has changed a bit since. You can make a one-time payment of $147 Or two payments of $79 Concerned about the cost? There is a 30-day money back guarantee, no questions asked. Interested in learning more about the course and the current prices? Find out more here. I know it's a lot to say that a course changed my life, but it's true. What started out as a side hustle lead to me becoming a full-time freelance writer. It meant that when I found out I was getting laid off, I was excited for the next chapter of my career. From a math degree to law school to freelance writer, I've definitely had a strange path but I'm glad I'm here. While I'll always be grateful for what I learned from my previous more traditional full-time job, by the end, it was just unhealthy for me. I was traveling constantly and not taking care of myself. Meaning I was stressed out. I didn't have a life because on the rare occasion I was home all I wanted to do was rest at home. I was the heaviest I'd ever been. Three weeks into self-employment, I'm happier and healthier (I've already lost over 6 pounds!). While self-employment in the world of freelance writing presents its own challenges, they are far more exciting challenges. I bought the course in April 2016 for $99. Slowly working through the course while working full-time and of course traveling for work, I didn't get serious about pitching until June. I started focusing more on freelance writing in June. On the bright side between April and June, I took the time to start my Freelance Writing Website and invest in tools to help me save time (Contena) and improve my writing (Grammarly). How Long it Took Me to Make a Profit: A little over two months. Working very sporadically I turned a profit by September 2016. From July 2016 to October 2016 I averaged a couple hundred dollars a month for a total of $795. And this is completing only a couple articles a month. I really was never home and always exhausted on the road. Once I found out I was getting laid off I stopped traveling so much and kicked things into high gear. Going to FinCon in September and connecting with tons of potential clients helped. I made $640 in November 2016 and $852 in December 2016. I'm currently projected to nearly triple what I made in December for January, even though I spent the entire first week of January sick in bed. Is 30 Days or Less to Freelance Writing Success Right For You? If on the other hand, you have a fair amount of experience in freelance writing, this course is probably not going to help you as much. If you purchase the course through one of my links, I'll throw in a bonus for you. One of the struggles I've found a lot of the those in the 30 DOL to Freelance Writing Success course have had is when setting up their website. They don't know where to start or what to use. There are so many options out there and figuring out the pros and cons of free vs paid options. I've helped a select few figure out what was going to work best for them. I did so by showing them behind the scenes of my two sites (run on different platforms) and I'll help you do the same. Purchase the course through my link and then just email me a copy of your receipt as proof of purchase (hello@lessdebtmorewine.com) and I'll do a 45-minute video chat/screen share session with you when you are ready to tackle starting your website. Showing you around different options and helping you to determine what will work best for what you want to accomplish and your skill level. Have any questions about the course? Let me know in the comments!